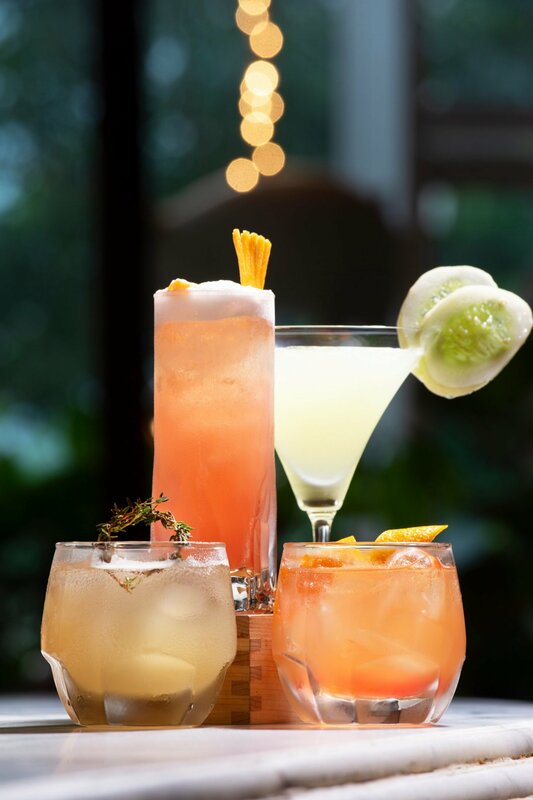 Toast & Tonic: East Village Style, international restaurant and bar (a part of the Olive group of restaurants), presents ‘The Second Edition’ – with a refreshing menu of new drinks, new food and with it, a new chapter for its outpost at BKC, Mumbai. Gochujang Chicken Breast Local inspirations, new age dining and a bar like no other come together in a whole new avatar for an experience that is effortlessly chic and refreshingly minimal. Since its inception, Toast & Tonic has created a distinct identity for itself by creating a food and beverage menu, and experience for its guests, that captures the soul of world cuisine, combining it with the goodness of Indian ingredients and freshly made products. To be able to continuously create new dishes with integrity and flavour, it becomes important to look inwards - a task more challenging, especially when one is out to create flavour profiles that aren’t inherently Indian. Innovation and adaptation then become key. Nearly a year and half after opening in Mumbai, working with several chefs to strike that balance and achieve that harmony, Toast & Tonic presents a new menu, grounded in its fundamental principles, led by Senior Sous Chef Chirag Makwana, who has been part of the brand’s journey for over two years. Drawing from the restaurant’s singular passion to create and own its own supply, Chirag Makwana - along with Chef Partner Manu Chandra - put together a menu which travels the globe whilst placing biodiversity and domestic sourcing at the forefront. 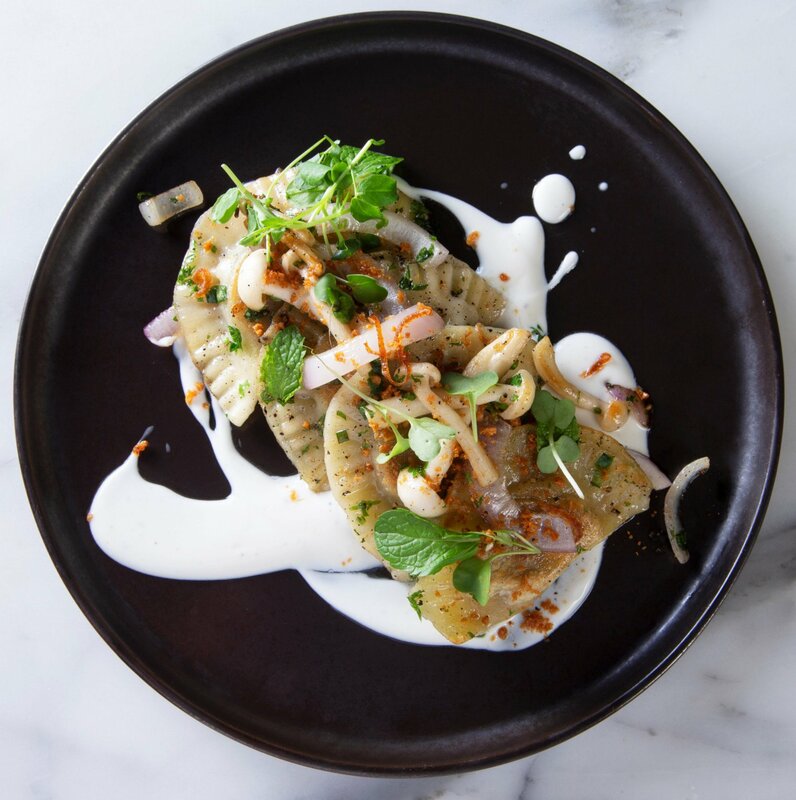 Though the menu at Toast & Tonic offers a variety of culinary cultures and is decidedly international, it seeks to celebrate India’s bio-diversity - working with local producers to ensure that Indian products are championed in a non-traditional way. 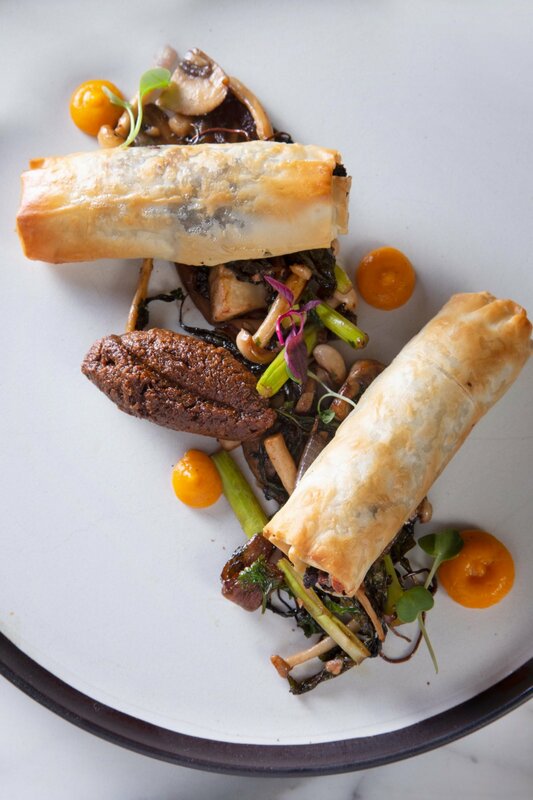 Taking established recipes and bases and giving them a twist; championing indigenous ingredients and seamlessly blending them into an entirely different cuisine. The highlights of the new menu include a selection of delicious small plates, hearty burgers and flatbreads with a selection of generous and wholesome big plates. Tinctures, shrubs and tonics - known for its gin soaked libations, Toast & Tonic pays tribute to age-old apothecary-based cocktails. In celebration of its favourite spirit, Chief Bartender, John Lesse has crafted a range of new G&Ts, Flavoured Tonics and Cocktails. The new additions to the bar menu focus on iterations of classic cocktails with copious splashes of gin. Gin CocktailsLocally sourced indigenous ingredients, house-made ferments and pickles like kimchi, sauerkraut, dill, mustards, sauces and dips; local grains and millets, seasonal produce like mustard leaves, drumstick leaves, locally sourced seafood and meats have also found their way into the new menu. 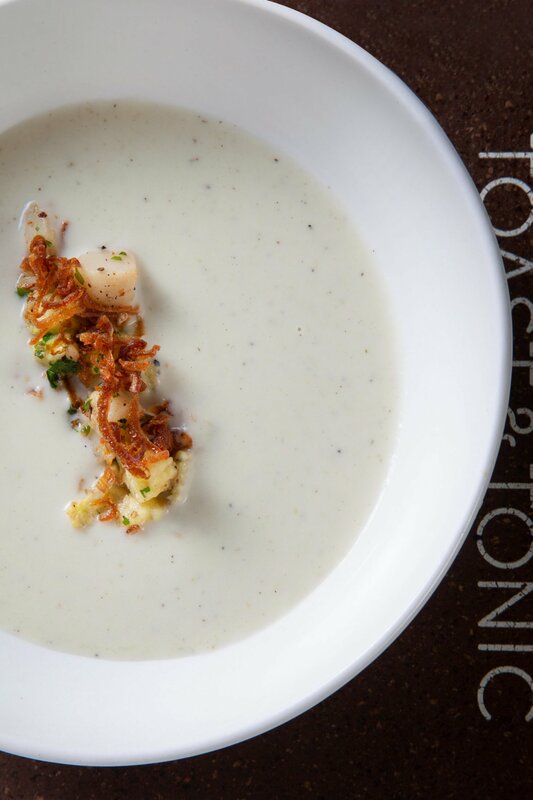 At Toast & Tonic, a meal is always a little more than what you might expect or imagine. A meal here is comforting, yet gastronomically curious, and the food-artisan inspired to modern. Come with an open mind and some curiosity because there are plenty of big and bold elements to be celebrated in the new menu. It is, in a way, an expression of what made the East Village, the quintessentially bohemian neighborhood of the world. The East Village, in the south of Manhattan, is easy going and irreverent - a vibe that grew from multicultural communities living together. T&T RamenThe neighborhood has grown into a space that continues to foster creativity, encourage the alternative and is spirited yet warm, welcoming and somewhat familiar. From sausages that have been cured and made in-house to smoked meats, to potent mustards, syrups, breads and kimchis and ferments; blend with cooking methods that range from sous-vide and modernist techniques, yet presented in a comforting and classic manner. 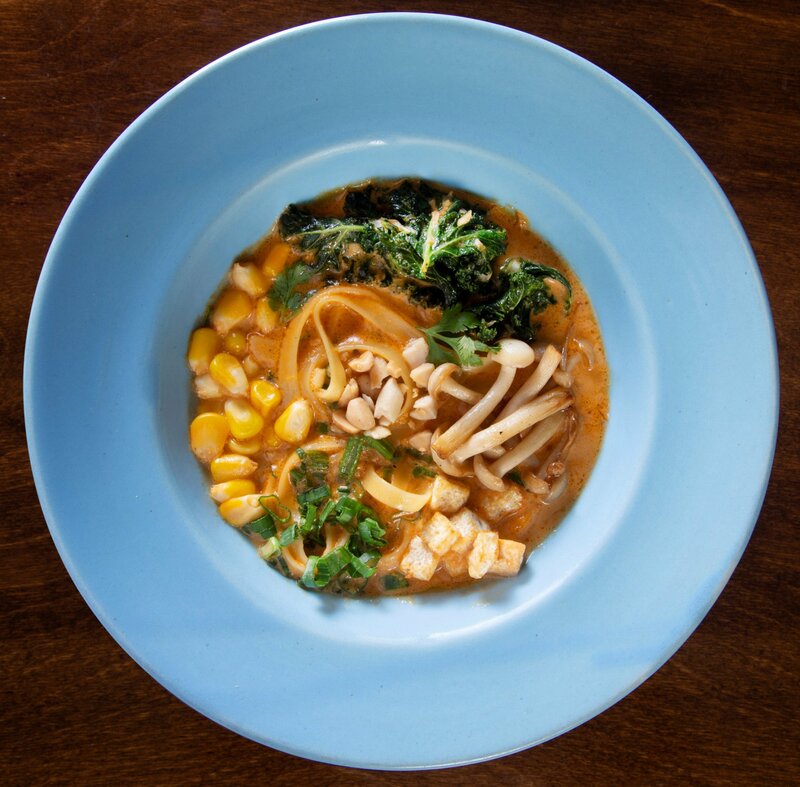 The dishes have been born of free expression, much like the philosophy that the East Village is known to embrace. The presence of a continually changing menu driven by the season is just one example of how Toast & Tonic dispenses with traditional dining norms in its quest to deliver a completely fresh and innovative experience. Innovation is the key and the menu is bursting with influences, stretched as wide as French, Asian, Italian, American, and even Latin American. Toast & Tonic embraces the best of fresh, seasonal, local and regional produce, with provenance at the fore, including gondhoraj lemons, amaranth leaves, drumstick leaves, noren gur, freshly pressed mustard oil and a host of local cheese - all served with a fresh, unpretentious take. New small plates include the hearty and soul satisfying Cauliflower Bisque with charred water chestnut and baby corn, Trio of Toast comprising whipped ricotta with pickled apricots, marinated eggplant with mustard caviar on toast and spicy smoked beans with tomato relish on sourdough, Pulled Lamb Tacos with tomato salsa and chimichurri. Pierogies with a sesame garlic yoghurt, mushrooms and brown butter crumbs, Ham Hock Terrine with pistachio salt, fresh date and fig relish and crusty sourdough bread and Mushroom Baklava made with crumbled feta, asparagus and charred tomato sofrito. Also on the new Mumbai menu is the Cheese & Corn Flatbread topped with charred corn, marinated feta and roasted peppers with black bean sauce and the Pulled Buff Sliders with the house-made mustard mayonnaise, Sauerkraut, dill pickles and fries. Khapli Wheat Spaghetti served with a hearty Lamb Bolognese, amaranth, bandel cheese, Ricotta and Mushroom Agnolotti with truffled pea puree, spiced walnuts, brown butter and sour cherries. 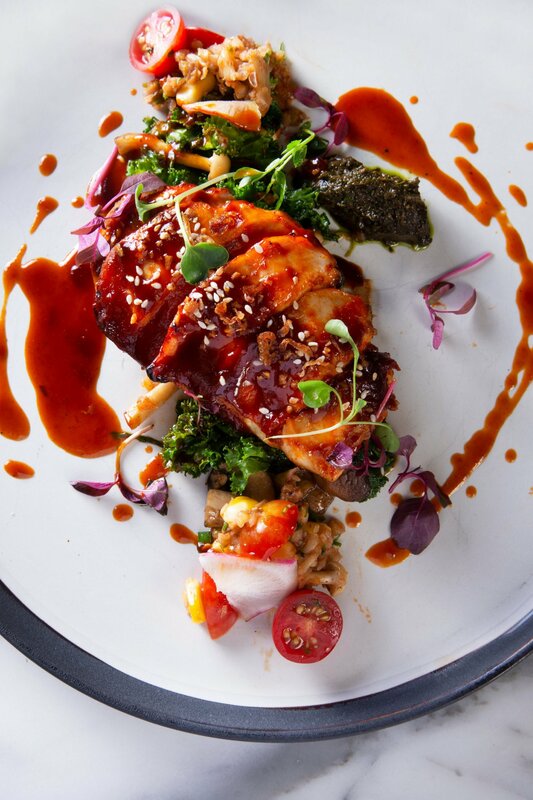 There is Gochujang Chicken Breast - crisp marinated chicken breast with kimchi buckwheat salsa, amaranth cilantro pesto, mushrooms and sautéed Kale. And with the monsoons over, it’s time for locally sourced seafood and fish to find their way back on the Toast & Tonic menu. The absolutely delicious and hearty Clam, Shrimp & Sole Stew - Cioppino with Crusty Sourdough garlic bread or Pan Seared Salmon – made with Kasundi parisienne gnocchi, sautéed mushrooms and broccoli, sauce vierge and Saffron Beurre Blanc. cauliflower bisqueFavourites that continue to feature on the menu include Carne Asada Tostada made with Chittoor agave marinated buff with naati coriander, fresh jalapeño and scallions, pepper, avocado and lime and the Soft Eggs & Fresh Andouille Sausage on Sourdough Toast with green mustard spread, smoked Bandel cheese and gin mustard hollandaise, Naga Chilli Chicken Wings with a side of Som Tam salad and T&T Chicken Liver Paté with Amrut Two Indies infused with smoky notes, seasonal compote and toast. And the desserts are every bit as inventive as their savoury counterparts with old favourites like Expressions of Jaggery - jaggery pot du crème, banana jaggery cake, noren gur served with coffee cardamom ice-cream; and Coffee comprising filter coffee cremeux, millet coffee cake, coffee cardamom ice-cream, cashew nut sesame granola and filter coffee gel; Brownie served warm, walnut ganache, brown butter cracker and yeast ice-cream. Only single-estate cocoa beans from the foothills of the Anamalai Hills in Tamil Nadu are used for the desserts. Post dinner, pick from a selection of artisanal single-estate Coorg coffees from The Flying Squirrel. 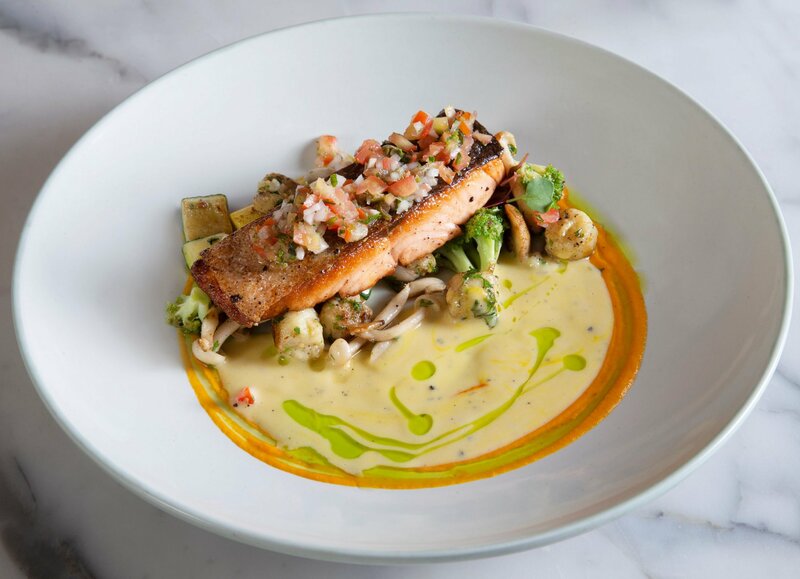 Pan Seared SalmonEven in a city as varied and adventurous as Mumbai, you will be hard-pressed to find a bar like the one at Toast & Tonic. It’s relaxed and unique and offers spirits and beers from around the world, a selection of wines plus an intriguing array of cocktails where ingredients are treated with reverence. Artificial syrups and additives have no place here. Like the kitchen, the bar also explores the possibilities that lie hidden in organic fruits and flowers while going a step further by making its own shrubs and tonics. 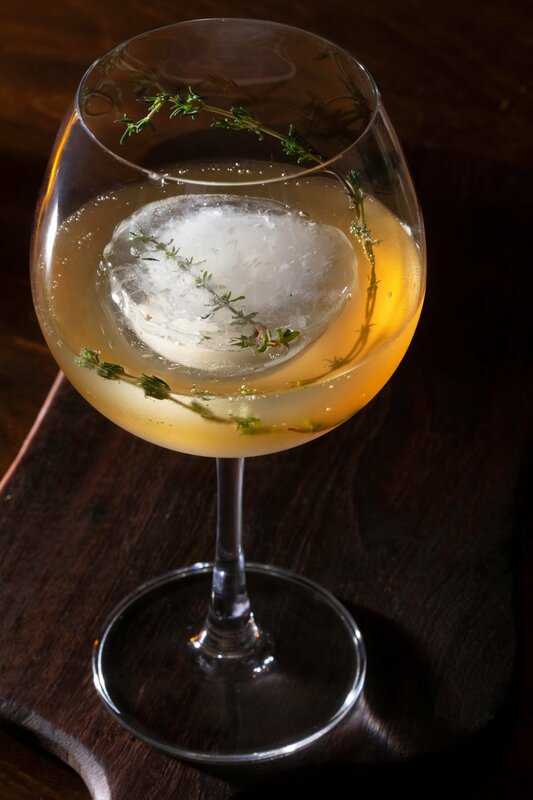 Toast & Tonic, known for its gin-soaked libations, pays tribute to age-old apothecary-based cocktails. Drinks that do the body good. They've also crafted a range of new G&Ts, Flavored Tonics and Cocktails. Chief Bartender, John Lesse, has made new additions to the bar menu focused on iterations of classic cocktails with copious splashes of Gin. 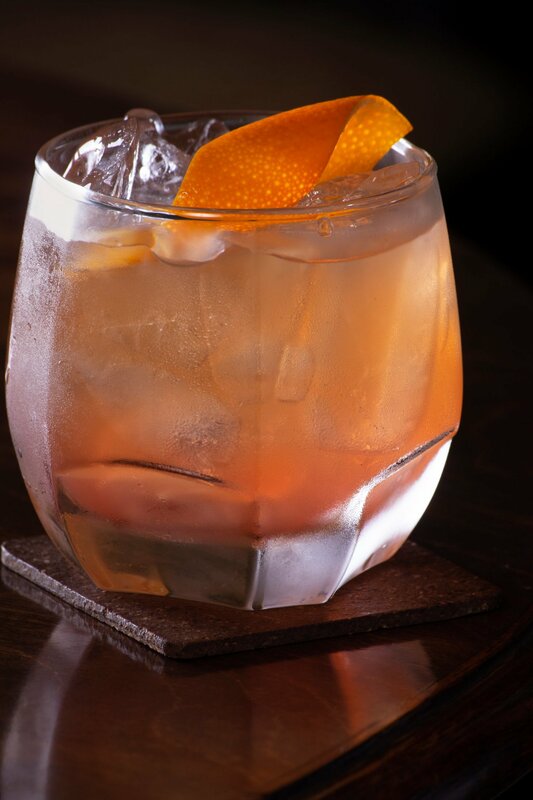 Think Gin Old Fashioned and the Fizz My Gin, a Gin Fizz of tropical persuasions with Passionfruit and Apperol. In 18th century Williamsburg (England), spices like cloves, ginger and star anise were coveted for their medicinal properties and are still used in shrubs world over. A visit to the bar at Toast & Tonic will probably lead to a bartender handpicking a shrub or flavored tonic for you. Long week? Refresher Tonic (Lemongrass and Mint) Sleep deprived? Black Star Tonic (Coffee & Start Anise). The new tonics, introduce fresher infusions that are locally grown in Mumbai’s tropical climate, with ginger, pineapple, lemongrass, cucumber and thyme. New G&T include Pineapple Grove made with gin, pineapple, clove and tonic water, served with clove ice; Autumn with the warmth of ginger and thyme shrub tonic water, served with ginger & thyme sprig ice; or Grass is Always Greener with gin, lemongrass and mint tonic water, served with lemon grass ice. Some people like to linger post their meal, but don’t want all the caffeine from an espresso shot, so we created the Black Star with a choice of gin, coffee and star anise tonic water served with coffee bean ice. Think Gin cocktails – the new bar menu offers it, besides cocktails including with whiskey and vodka. Gin Old FashionThe elegant simplicity of the food and drinks extends to the décor, created by Shruti Jaipuria of the Bangalore-based Maia Design Studio. The philosophy of creativity, innovation and sustainability naturally extends to the restaurant’s design elements. So, it’s no surprise that you’re reminded of an old country barn and everything that is natural, basic and wonderful about it. As you walk in, a voluminous barn-like structure made with timber framework, houses artistic representations of animals, livestock, and produce, commonly found on a farm. Dried wheat and jowar straight from the fields, sculpted garlic and sausages, fresh flowers and cacao pods infuse the space. The open plan dining room is easy going, effuses an elegant charm and engages directly with the guests - along with a grand bar that watches over it. The bar, crafted with pinewood in several layers, is inviting, and shows off the extensive liquor and wine on display. Textural attributes of materials used, lend an organic quality to the space that is exaggerated through patterns and weaves. Crate wood paneling on the bar front, textured glass, embossed ceilings, and mild steel exposed to a natural rusting process, all evoke a feeling of comfort, and timelessness. The wall lights have been custom made in brass, a leather band and a glass globe that appears to float. The overall ambience is the perfect location to break normal dining conventions with a refreshing lack of fuss or pretension.